And I was looking for one of the more iconic planes of the Luftwaffe and World War 2, the Ju-87 Stuka. 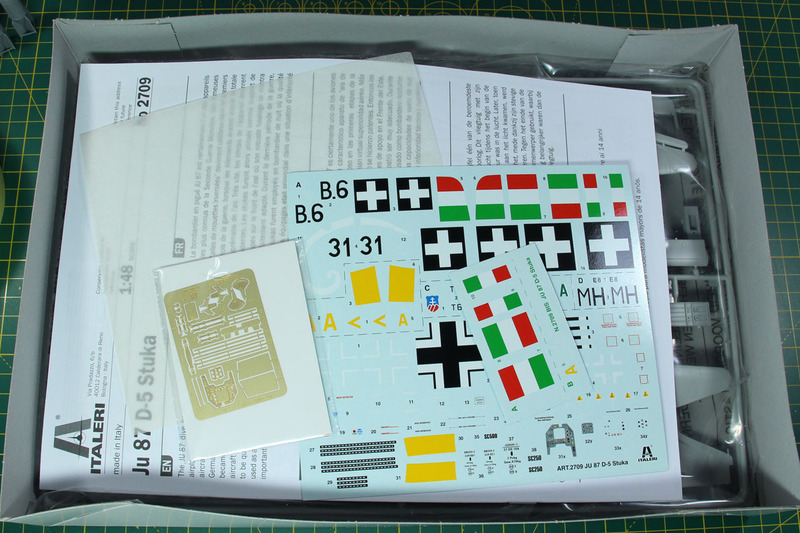 This kit was by Italeri and I was surprised that they even added some photoedged parts to this box. 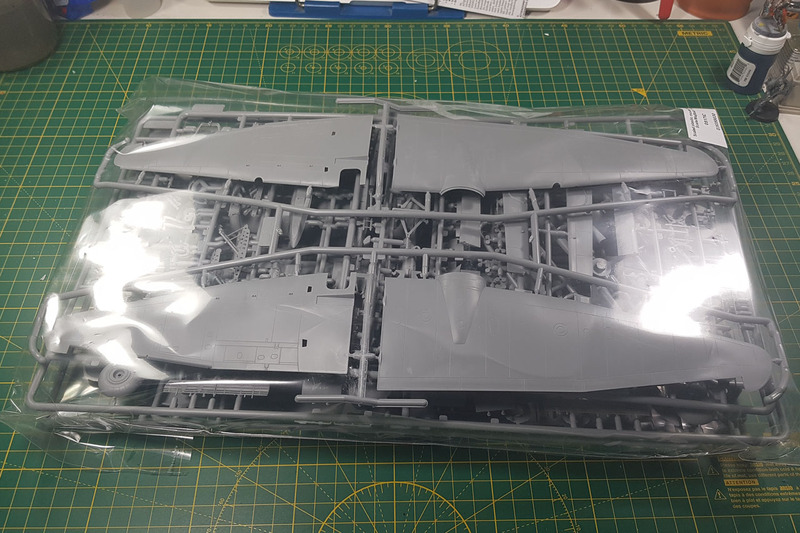 I was looking forward to the build, as it was advertised with remastered molds etc. 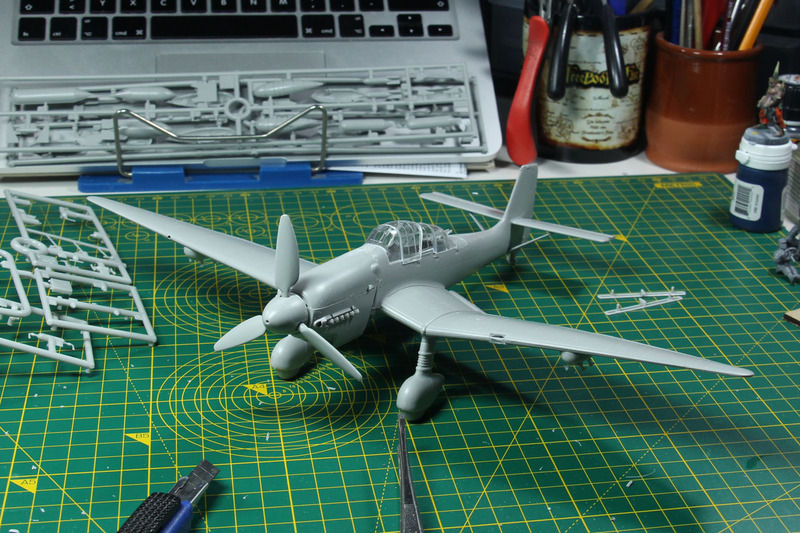 Well, that was only true for some parts and overall the fit of the kit was horrible. Loose fit and lot of flash. I build part of the interior for stabilising purposes, but after noticing the very ill fit, I threw that out and just build the hull. 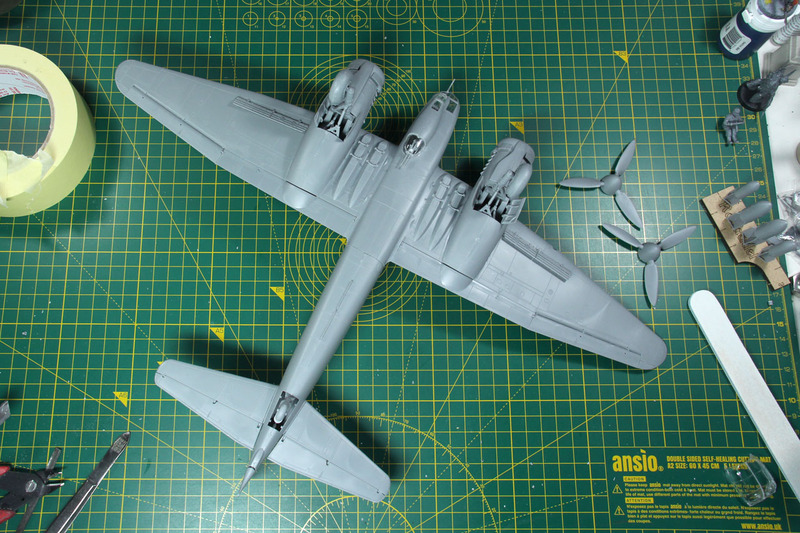 The engine is very similar to the one on the Ju-88, no wonder both are Junkers. But that was another very annoying part of the assembly. 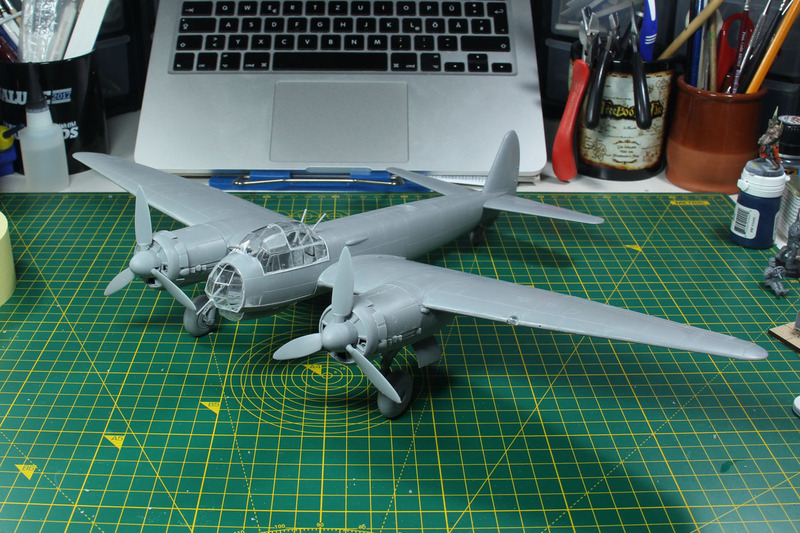 After some cutting and using excessive amounts of tape, I was able to assemble the Stuka more or less properly and left out all of the photoedged pieces. With all of the kits, as they are going to be handled while playing, I left off all of them antennas and smaller tid bits that would just break off. 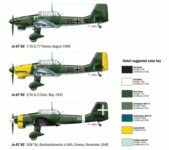 When I compared the Stuka and the Bf109, I had to check the measurements on wikipedia, to make sure that they were not off scale. 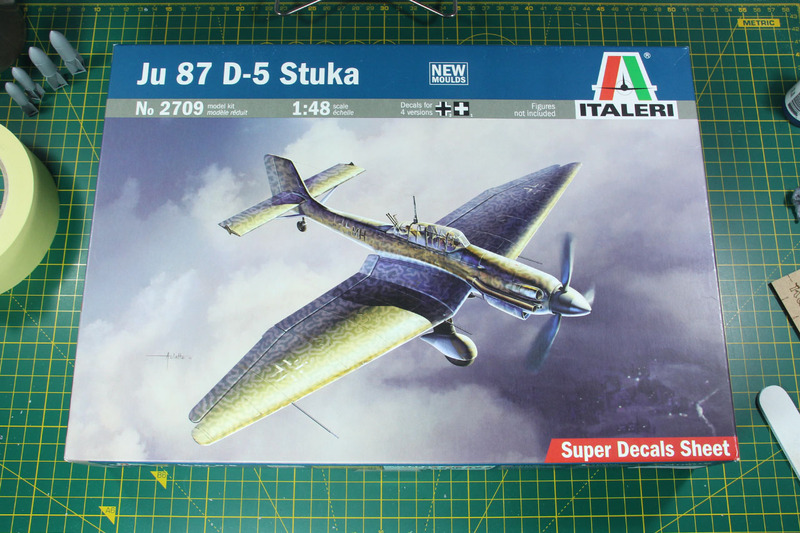 But the Stuka had a span of 15 m, compared to the just short of 10 m of the Bf109. 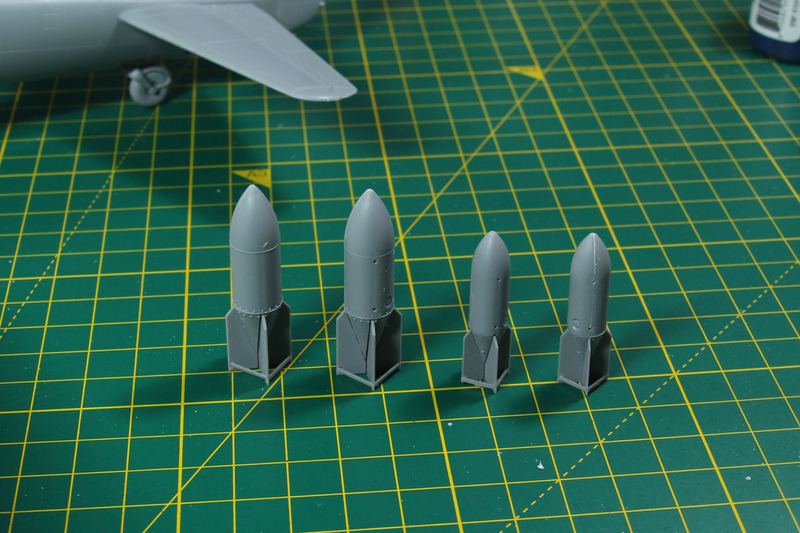 So yes, they are the proper scale, just very different dimensions to them. 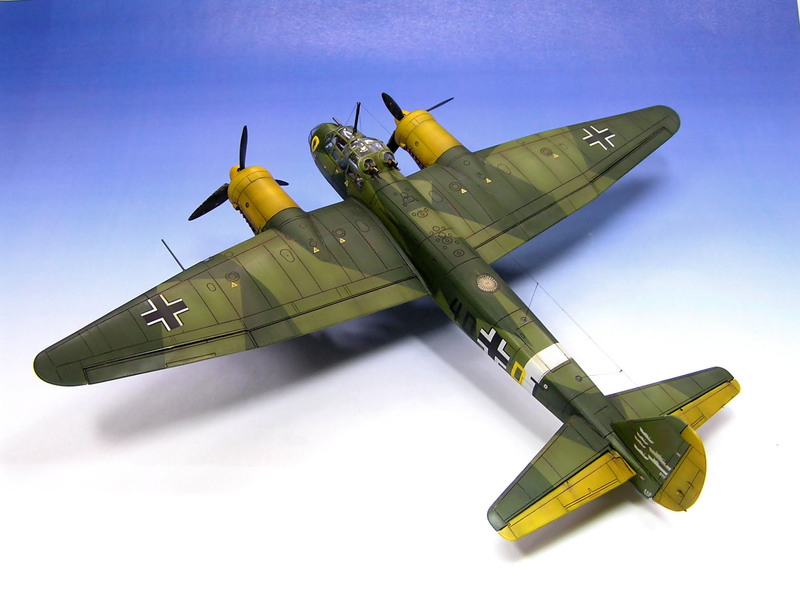 The Luftwaffe had different camouflage and paint jobs for the different theatres of war. As I wanted to use them on all terrain set ups, I didn't went with a specific camouflage. 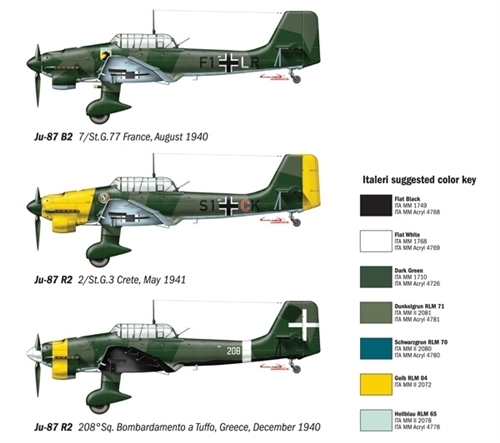 Did a bit of research, there was the early war Legion Condor, which isn't unteresting for the Spanish Nationalists, but I would prefer the green top / grey underside with yellow tipps. 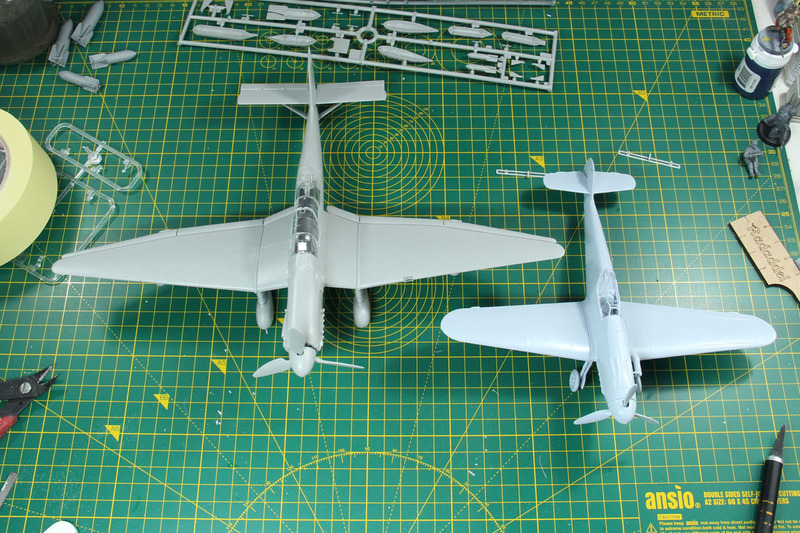 To bind the three different planes together, I want to paint them the same way, yellow fins and propeller and the two-tone green camo on the top. 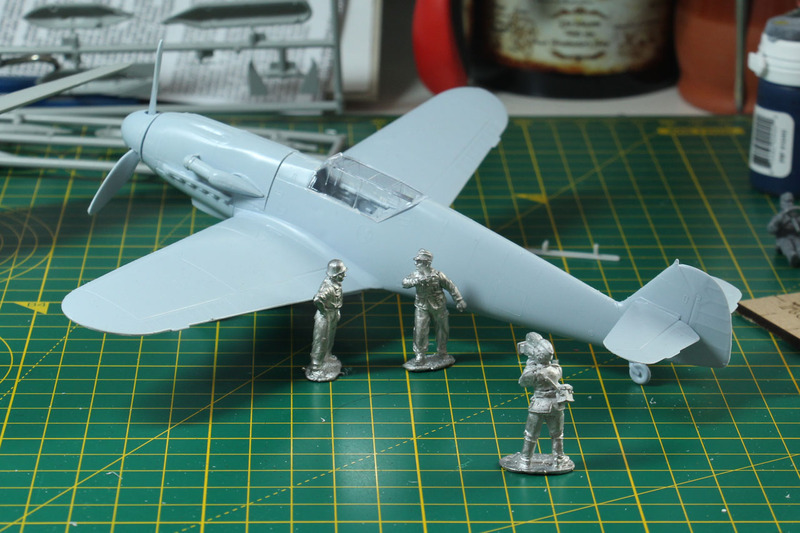 Watched this video on the paint job on a Ju-88 A by Plastic Models. 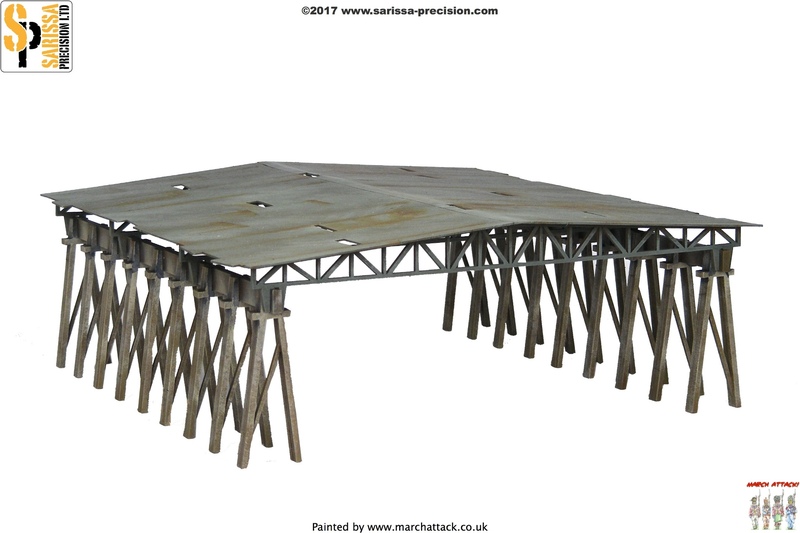 Of course such aircrafts need the proper terrain pieces to go along with them, Sarissa has these Hangar and Field Hangar sets. Especially the later looks like a proper kit for an airfield raid in northern Africa. 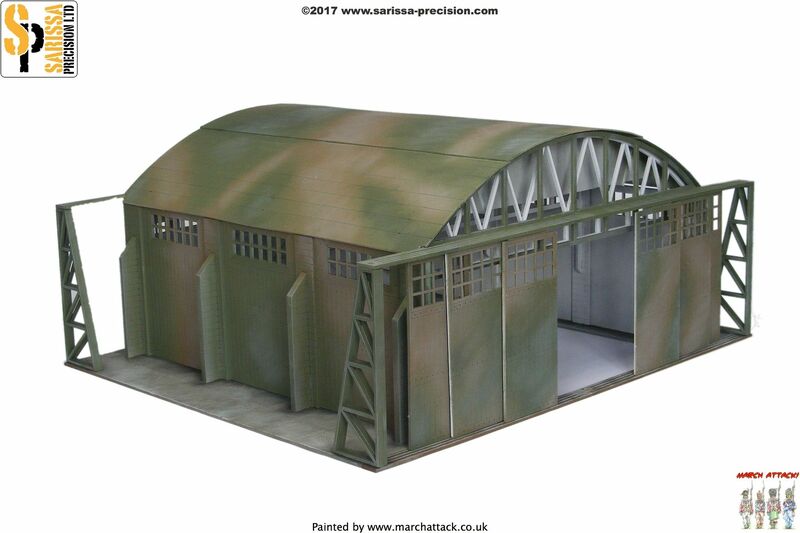 I can see this set up come together, a couple of Dust Tactics huts, the field hangar and a few strips of runway. 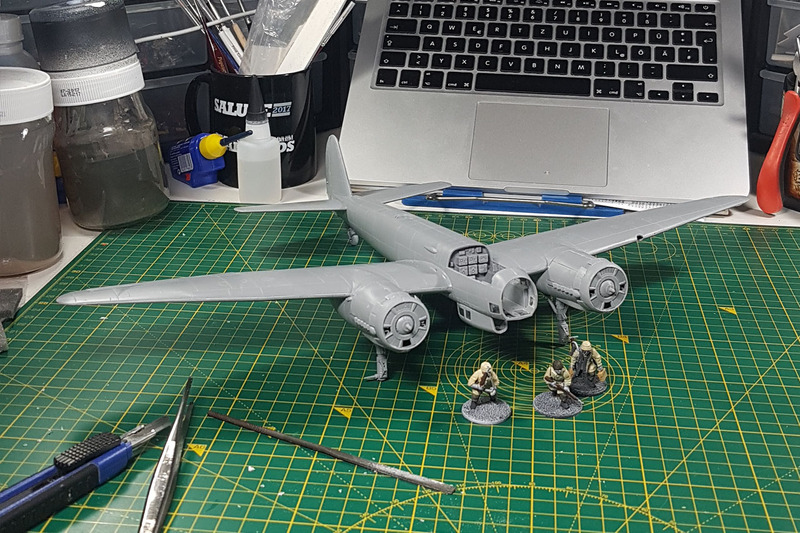 Do you have any pictures of airfield raids in 15mm or 28mm? 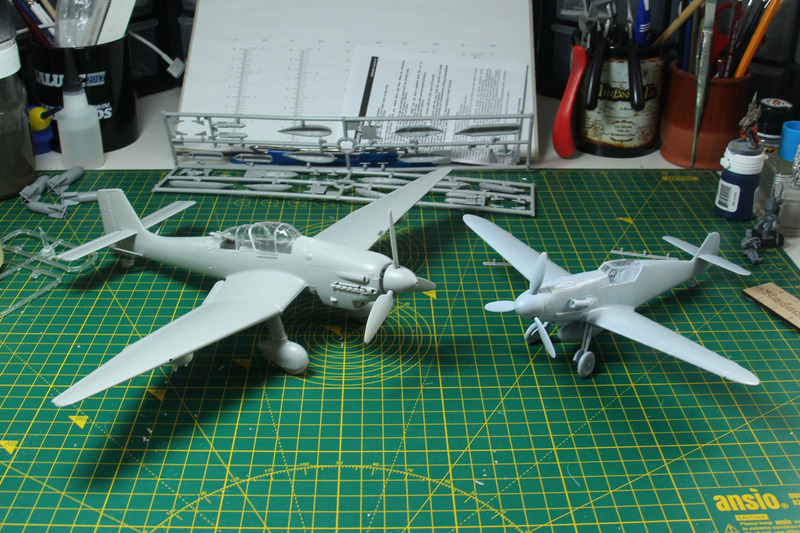 Any suggestions what to add or pearls of wisdom on a quick paint job for the aircrafts?